The Garage Brewed moto show highlights unique bikes and builders. Our fifth annual show will be held in Cincinnati on January 26th 2019 inside of a local brewery, Rhinegeist brewery. This free to the public show lets you see what builders from small towns and cities are building or collecting. The curated invitational event showcases custom, rare, antique, collectible and just plain odd bikes that are hidden away in garages and basements. 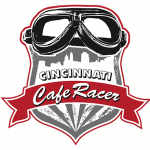 The event is hosted by an all volunteer group, the Cincinnati Cafe Racer club, which is a social club of motorcycle enthusiasts with a broad range of interests and styles (not just cafe racer style). Our first year was 2015 where we showcased fifty motorcycles out of about 75 nominated bikes. Styles ranging from custom cafe racers, choppers, antique board track bikes, restored Indian motorcycles, rat bikes and collectable restored classics. In 2018 we had over 140 nominations and had also narrowed it down to 57 motorcycles (not an easy task). Each year the number of bikes to choose from continues to grow. The show will surely have many bikes that will surprise and delight. Each with it’s own unique story. Watch this documentary film that tells the story. Or this SHORT version. Contact us to find out more about sponsorship or our limited vendor spots for this year’s show.